VIDEO: European Design Collection Gems and Jewelry by David Birnbaum. VIDEO: “Behind the Scenes” Vogue Italia Correspondent with private jeweler David Birnbaum. The Ultimate Private Jeweler® David Birnbaum, The Ultimate Private Jeweler, offering the rarest diamonds gem and jewels in the world. Every diamond is undoubtedly valuable, yet some simply possess more noteworthy characteristics than others. 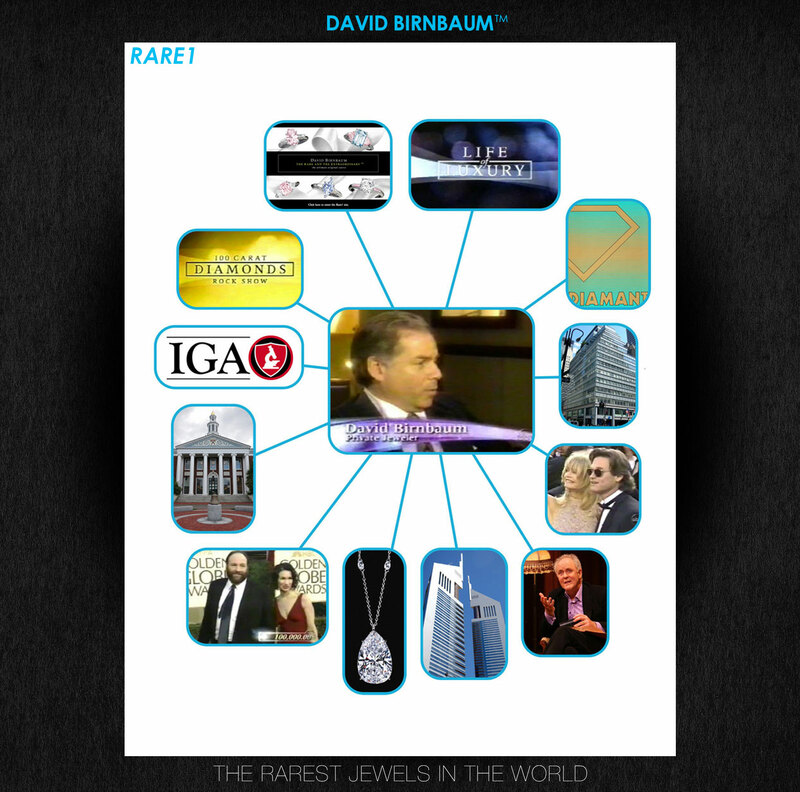 David Birnbaum is an internationally recognized Private Jeweler and gem expert. Committed to value and excellence, he is the premier choice among jewelry and gem connoisseurs. The Private Jeweler firm of David Birnbaum / Rare 1 is known among cognoscenti worldwide for its commitment to exquisite quality. The firm is a unique and extraordinary boutique. Its primary clientele are from the top 1/10 of 1% of the global financial elite.